It is Sunday, 24 June, at the Auditorium of the International School of Music and Dance (EIMD) in Rabat. Just hours away from the end-of-year concert for students from the Mazaya school, the excitement is palpable. Today is a special event featuring performances from students from each of the school’s three levels. On stage, beginners and confirmed musicians alike will perform, playing strings, wind, brass, and percussion instruments or singing in a choir, in front of an encouraging audience of parents and other attendees who have come to cheer on these very special musicians. Welcome to the Mazaya school, a project coordinated by the Ténor Pour la Culture Foundation with the financial backing of the EU. 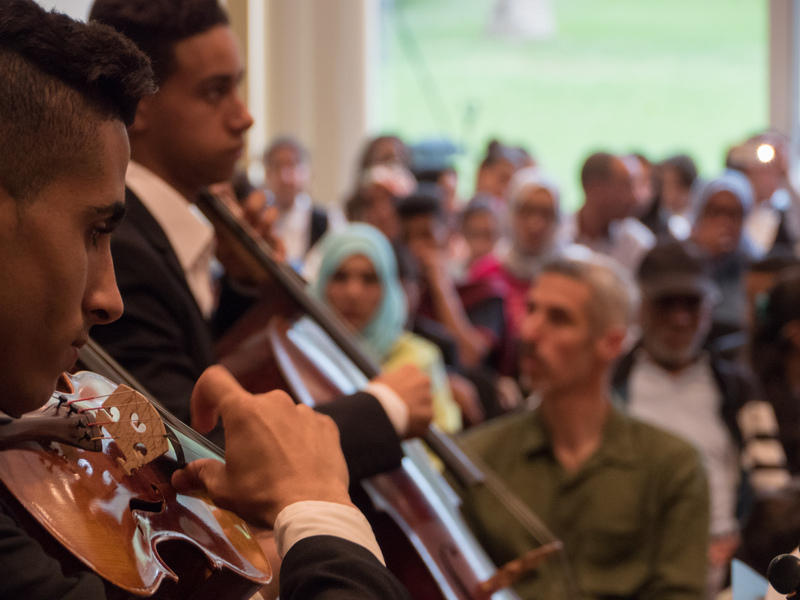 Since its creation in 2007, the foundation has worked to make classical music accessible to people from all backgrounds in Morocco, and has spearheaded several significant cultural projects. “The Mazaya school is a social project that just makes sense for us. It corresponds to our desire to restore the profession of musician to its former glory. 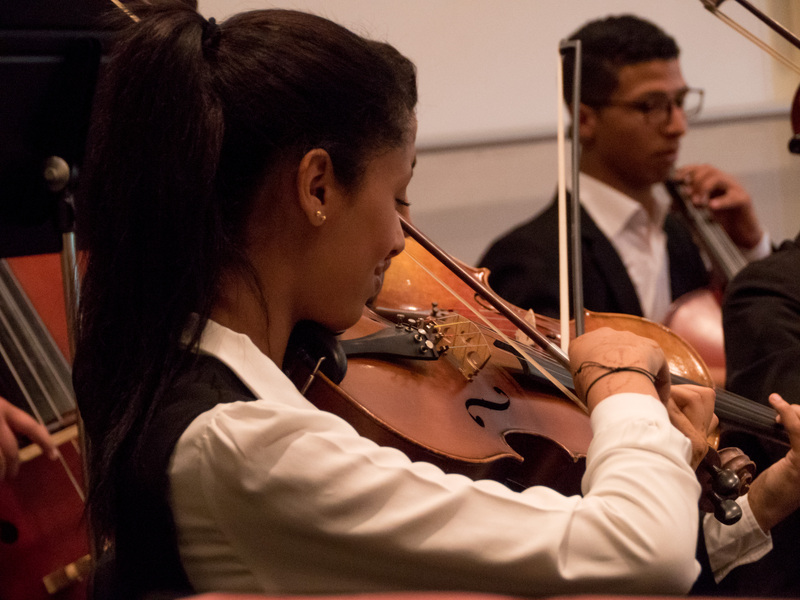 It also offers a path to a career as a trained musician for children from underprivileged neighbourhoods,” said Dina Bensaïd, Managing Director of the Ténor Pour la Culture Foundation. “Since its creation six years ago, the school now has a group of 70 children, all of whom will have the opportunity to earn a living by playing their instrument. After an initial five years, students take a competitive examination to move to a higher level for three years. At the end of this period, and for two years afterwards, students are provided support to help them join an orchestra. Today, 25 Mazaya musicians have found a spot playing for a symphony orchestra.” Mazaya’s teaching covers the entire range of instruments used in classical symphony orchestras: strings (violin, cello, viola, bass), wind instruments (bassoon, clarinet, flute), and brass instruments (trumpet, trombone). In addition to technical and musical instruction, Mazaya students take classes in Arabic, French, maths, etc. They also take classes on general knowledge in the field of music. As for learning how to play instruments, the teaching staff is made up of musicians from the Moroccan Philharmonic Orchestra. “Children are taught by a teaching staff that provides individualised assistance. 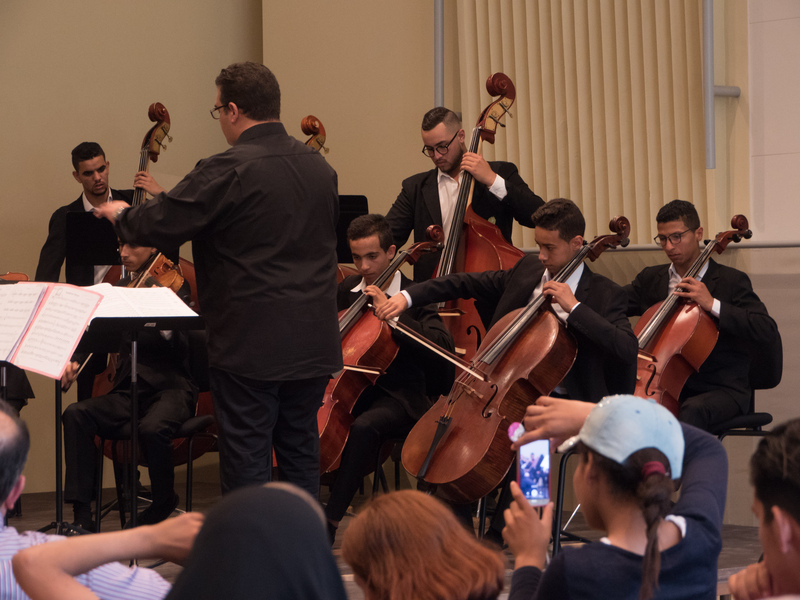 They receive musical instruction, in addition to training in singing and technical training for orchestral work,” said Gibril Bennani, orchestra conductor at Mazaya. To select Mazaya’s future students, a team visits underprivileged neighbourhoods in Rabat, Salé, and Temara. “We go door to door to seek out possible candidates, children who have left school early or never even been to school. At Mazaya, children are selected using a singing test and a test of the child’s musical ear. Tuition at the school is free, of course,” Meriem Amanna, administrative director at Mazaya, told us. The parents who have come to see their children play are pleased at their progress. Kawtar Nour is the mother of two Mazaya students: Oussama, who is learning to play the bassoon, and Assia, who has chosen the cello. Both of my children had dropped out of school. I was lucky enough to hear about the Mazaya project. Music has transformed them. Assia hated school. Now, she goes to class with a spring in her step. She has become one of the best students in her class – even her smile has changed. “I hope one day they will both become famous musicians and be successful in life,” said Ms Nour. Farah Bouchaïb is the father of Abdelkader, who plays the horn. A troubled youth from the underprivileged Takadoum neighbourhood in Rabat, Abdelkader abandoned school prematurely. “Mazaya has completely changed him. Today, he knows that when he has finished his studies, he will have a real line of work and a job waiting for him,” said Mr Bouchaïb with emotion. The European Union has provided assistance in the way of a three-year contribution to the Mazaya social programme via a donation of 5.5 million dirhams (500,000 euros) for the period from 15/12/2015 to 15/12/2018. It began providing support in mid-December 2015. Concretely, the EU’s assistance has helped fund the programme’s second level (paying for school transport, musical instruments, teaching staff, etc.). The EU has a desire to assist different layers of Moroccan society by promoting educational and vocational training. From the national government to the private sector and civil society, we encourage an integrated approach between and toward different stakeholders in the system. In this respect, civil society represents an important stakeholder, both in terms of the overall dynamic of Moroccan society, but also as a driver for creative initiatives and a creator of new opportunities. The EU also provides assistance in implementing the national vocational training strategy for the period until 2021, by providing assistance to the national government coupled with support for vocational training possibilities that are suited to the needs of different regions and markets,” said the EU Delegation to Rabat. “The European Union also believes in giving a chance to everyone, and in the strength of human capital for the development of a country. This is why a project like Mazaya, which is such a source of hope for students who have stopped schooling early and sometimes come from troubled backgrounds, caught our attention. They say that music soothes the soul, and this project is a perfect illustration of just that. 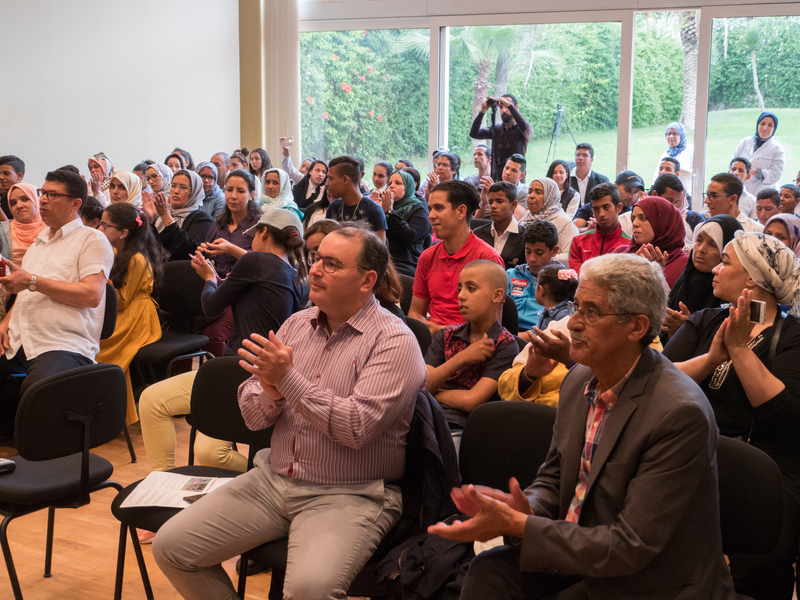 It gives all of these young people the opportunity to receive training as musicians coupled with professional training, all while ensuring social support and the well-being of the children,” said Claudia Wiedey, European Union ambassador to Morocco. With the help of EU funding and the Ténor Pour la Culture Foundation, the lives of dozens of children have tangibly taken a turn for the better. Now, their future is sure to be full of music.